I wonder how well this would do outdoors? Who sells these in the USA? 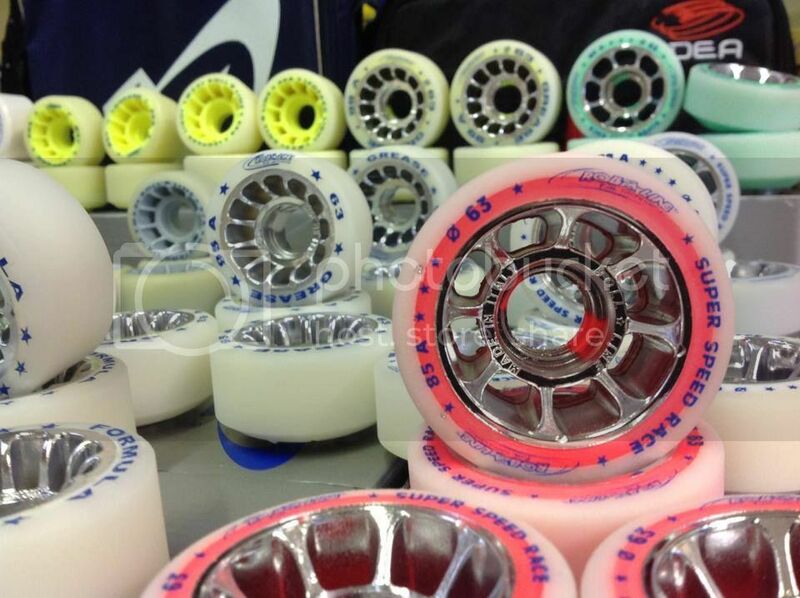 Wheel hub with innovative shockproof foam. Perfect venue for the bearings. The section of the tread redesigned and a new polymer allow for greater smoothness than traditional wheels, excellent grip and at the same time an 'incredible manonvrabilità in three controtre. We have recently had our hands on 2 sets here at the local rink. Quite frankly they looked like crap. Serious quality control issues with finishing of the hubs. NOT Roll Line quality at all.